apparent-extent: AE004 Johanna Billing "Soundtracks"
ORIGINAL FILM SOUNDTRACKS documents the music of two video works by Johanna Billing from Stockholm, Sweden. We saw Johanna's videos screened in her 2007 show "Songs, Cities and Circles" at basis gallery, Frankfurt am Main. Originally composed by legendary Roky Erickson YOU DON'T LOVE ME YET starts slow around a synth drone and a fragile violin, builds up slowly with more acoustic and electric instruments and voices to finally end in a massive endless pop hymn with roaring orchestra arrangements and blue eyed gospel choir. 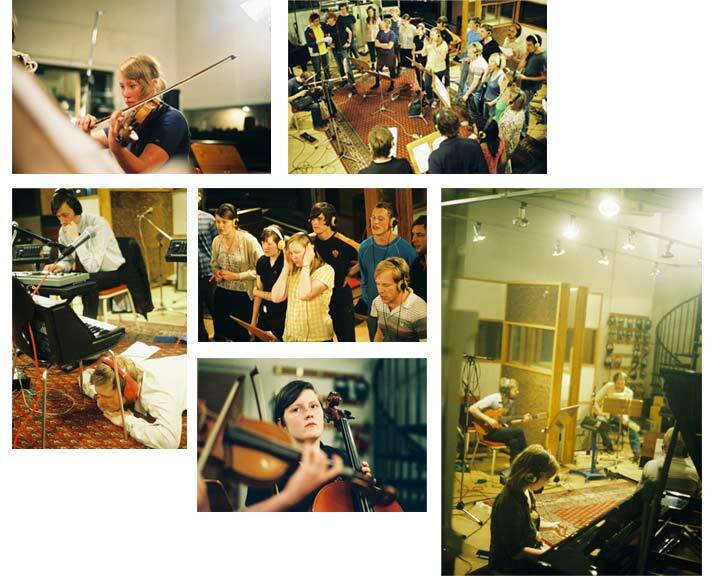 YOU DON'T LOVE ME YET is a 9 minute anthem recorded by friends and musicians from Stockholm at Atlantis Studio. Johanna had the idea for this piece, when she heard on public radio that Sweden has the highest number of single households worldwide. YOU DON'T LOVE ME YET toured as a 'coversong festival' throughout Sweden and Norway and became a phenomenon in it's own right. Imagine your local music scene shows up and performs nothing but YOU DON'T LOVE ME YET. Besides those held in Scandinavia YOU DON'T LOVE ME YET happenings took place in San Francisco, Chicago, London and around the Netherlands. MAGICAL WORLD documents a group of children from Zagreb, Croatia performing this pop masterpiece, originally written for the Chicago vocal group "The Rotary Connection" in the summer of love. This very mixed vocal pop ensemble with the outstanding voice of Minnie Ripperton in lead is in Billings version replaced by a group of suburban kids, singing: "Why do you wake me up / From such a beautiful dream / Can't you see that I am sleeping / So why / don't you leave me alone /... / I live in a magical world." The release is cooperation with Kavi Gupta Gallery, Chicago and Dundee Contemporary Arts, Scotland. Thanks to Kristen van Deventer and Anne-Marie Watson.